Web Design Doncaster by nineten. View our Web Portfolio. Web design Doncaster, by nineten. web design and marketing experts. nineten is a Doncaster web design company that design and develop engaging, user-friendly responsive website designs for local, national and international companies. Read more about our web design services or view our portfolio. 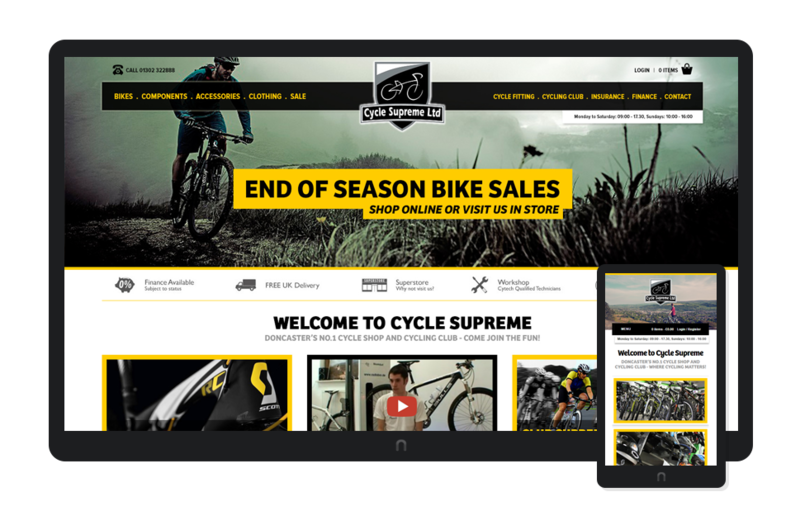 Design a fresh new look for the Cycle Supreme website, highlighting key areas of their business while focusing on the customer journey. Integrate the ability to feed product data from multiple suppliers making the whole product range very easy to manage. logo design, lead generation, email marketing, social media management and general marketing. join us for a cuppa and let's discuss your project.